Christopher Gerber is a Wisconsin native, and received his BFA in Metalsmithing/Jewelry from the University of Wisconsin - Whitewater. 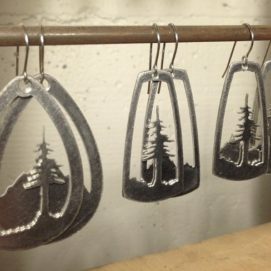 He has worked and showed in the US and the UK, and currently resides in Seattle as a practicing goldsmith/jeweler. 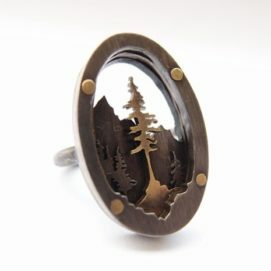 First exposed as a child to the wild spaces of Wisconsin, Christopher Gerber currently traverses the Pacific Northwest, dissecting and interpreting the wilderness and backcountry of the region through traditional metalsmithing techniques. Daunting peaks and gargantuan vistas are scaled and broken down into comprehensible pieces, allowing manageable interpretation. 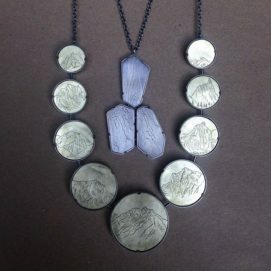 As a practicing goldsmith and bench jeweler, and through his involvement teaching in the local alpine climbing community, Gerber explores formal techniques from both worlds to help him achieve a better understanding of the space he lives in.